Football great, Archie Manning , was born on May 19, 1949 in Drew, Mississippi. Archie Manning is the father of current Indianapolis Colts starting quarterback Peyton Manning, current New York Giants starting quarterback Eli Manning, and former Ole Miss receiver, Cooper Manning. Archie Manning was the starting quarterback at Ole Miss for three years. In the first national prime time broadcast of a college football game (1969), Manning threw for 436 yards and three touchdowns, also rushing for 104 yards, in a heartbreaking 33-32 loss to Alabama. That 540-yard performance is still tied for the SEC record for most total yards in a game. 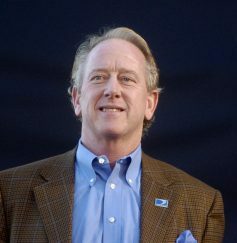 After his college career at Ole Miss, Archie Manning was selected in the 1971 NFL Draft by the New Orleans Saints with the second overall selection. The Saints were at that time – and throughout Manning’s stay there – one of the worst teams in the league, and Manning’s supporters have often speculated that this was the reason that his career was less successful than it otherwise might have been, while others believe that the fact that he played for a bad team allowed him to pad his stats because losing teams are forced to pass more. 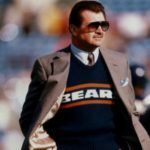 Nevertheless, he was well respected by NFL peers Sports Illustrated senior writer Paul Zimmerman recalls opposing defensive linemen, “Jack Youngblood in particular” taking it easy on the poorly protected Manning. Archie Manning played for the Saints for ten full seasons, none of them winning. In 1972 he led the league in pass attempts and completions, and led the NFC in passing yards, though the team’s record was only 2-11-1. In 1978, he was named the NFC Player Of The Year by UPI after leading the Saints to a 7-9 record. That same year, Archie was also named All-NFC by both the UPI and The Sporting News. Archie Manning was selected to the Pro Bowl in 1978 and 1979. 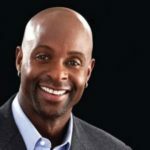 He went on to conclude his career with the Houston Oilers (1982-1983), and the Minnesota Vikings (1983-1984), where the teams posted a collective record of 6-35. He ended his 13-year career having completed 2,011 of 3,642 passes for 23,911 yards and 125 touchdowns, with 173 interceptions. 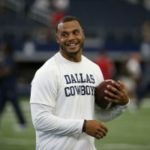 He also rushed for 2,197 yards and 18 touchdowns. His 2,011 completions ranked 17th in NFL history upon his retirement. His record as a starter was 35-101-3 (26), the worst in NFL history among QB’s with at least 100 starts. Archie Manning continues to make his home in New Orleans, though he also owns a condo in Oxford, Mississippi which he relocated to following Hurricane Katrina, and he is involved as an analyst with the Saints’ radio and preseason television broadcasts. He can also be seen as a commentator for CBS Sports’ college football broadcasts. He is the father of three sons, Cooper, Peyton, and Eli. Archie has also been utilized as a commercial spokesman for products in Southeast Louisiana, where he remains popular with many fans. In 2007, Manning was awarded the Silver Buffalo Award by the Boy Scouts of America. The Silver Buffalo is the highest award given for service to Youth on a national basis. In 2007, Manning was hired as spokesman for a United Parcel Service contest to promote its “Delivery Intercept” service. 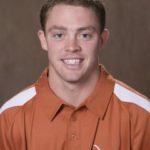 He appeared in an advertising campaign for the UPS Delivery Intercept Challenge Video Contest, which solicited amateur videos of football interceptions from high school and youth games. Among the prizes were a tailgate party with Archie Manning, and Manning-autographed footballs. Olivia Manning, Archie’s wife, is from Philadelphia, Mississippi and attended Ole Miss, where they met. She was Homecoming Queen her senior year. After marriage and moving to New Orleans, Archie and Olivia had three sons and she became, and remains, active in charity and volunteer work in the community. This community work includes being a member of Women of the Storm, a group of New Orleans women that was created after Hurricane Katrina. The Mannings make their home in the Garden District of New Orleans, which escaped heavy damage from Hurricane Katrina.